A stellar musical CV includes co-writing with Alison Moyet, being a John Peel favourite with his 80’s band Terry and Gerry (recently reformed), winning best band (with his band Colvinquarmby) at Fairport’s Cropredy Festival as well as the Hancock Award for best live folk act. A Glastonbury stalwart, he has played several times and also acted as compere on more than one occasion. 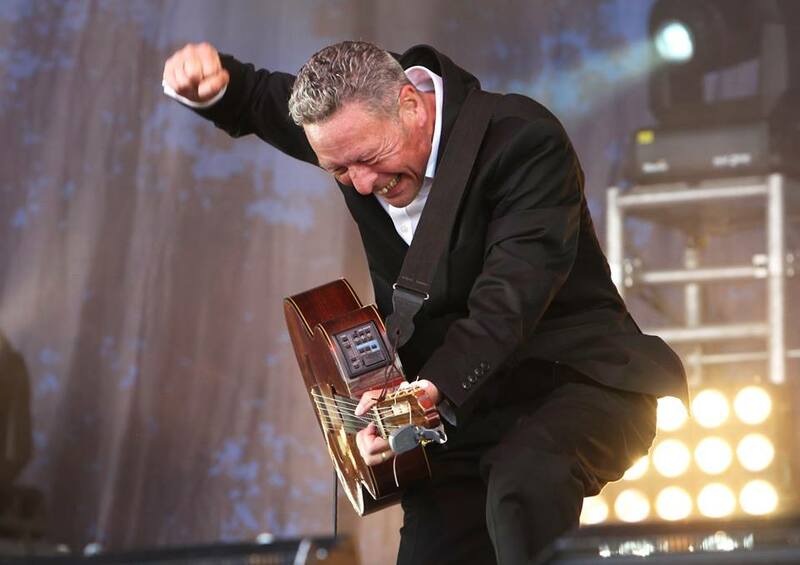 Gerry will be playing songs from his ninth album ‘Back and Forth’ as well as favourites from his extensive back catalogue – just expect a great night’s entertainment from this extraordinary performer. Gerry will be joined by musicians Jerome Davies, double bass, Trish Power, accordion Lyndon Webb, guitar. Gerry’s ninth appearance at Folk in the Barn, we never tire of his amazing performance.